This beautifully renovated all-brick home is situated in a CUL-DE-SAC on more than 7 ACRES, surrounded by woods, a wet-weather POND and a horse farm. 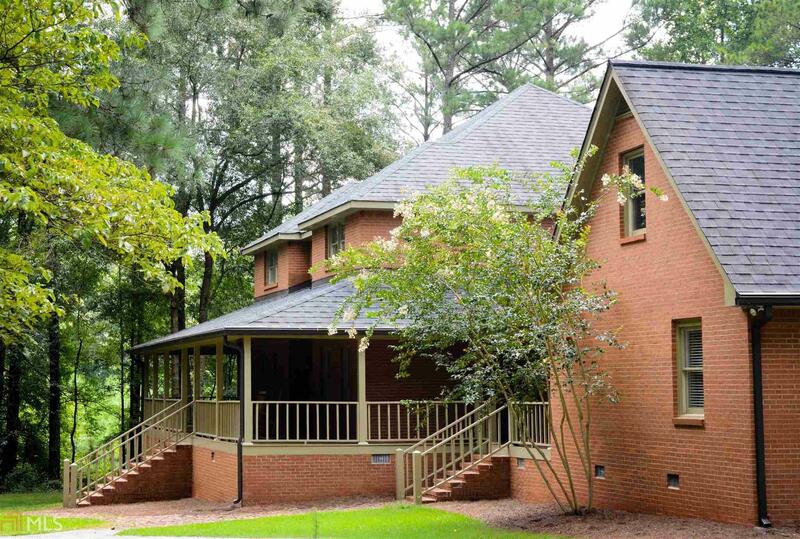 Located in one of the most desirable neighborhoods in Newton County and just 2 miles from I-20. Updates include SPA-INSPIRED master bath w/ private BALCONY. Beautiful wood-burning FIREPLACE is centerpiece of cozy keeping room. Luxurious outdoor living, with back deck, spacious screened porch and full-length front porch. Huge suite above garage and partially finished basement offer plenty of extra room. Directions: From Covington Take I-20 East To Exit 98. Take A Left Off Of The Exit. Go Across The Bridge Over The Interstate About 200 Yards To Left Onto River Cove Rd. Cove Ln Is About 2.5 Miles On The Right. Home In Cul-De-Sac.